ABOUT THE ARTIST: Clarence A. Wells, Gitxsan (Gitsan) Clan of the Tsimshian (Tsimpshien) Born 1950 in Port Alberni, B.C. 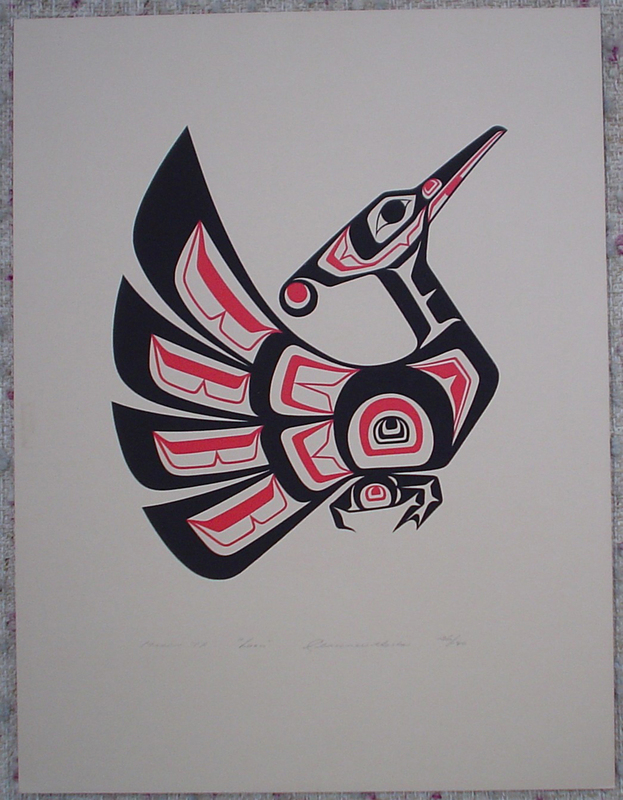 Clarence Wells is an acclaimed contemporary Pacific Northwest Coast First Nations artist and carver. As a youth, he spent five years in Alberni Indian Residential School and moved back to Prince Rupert in 1962. 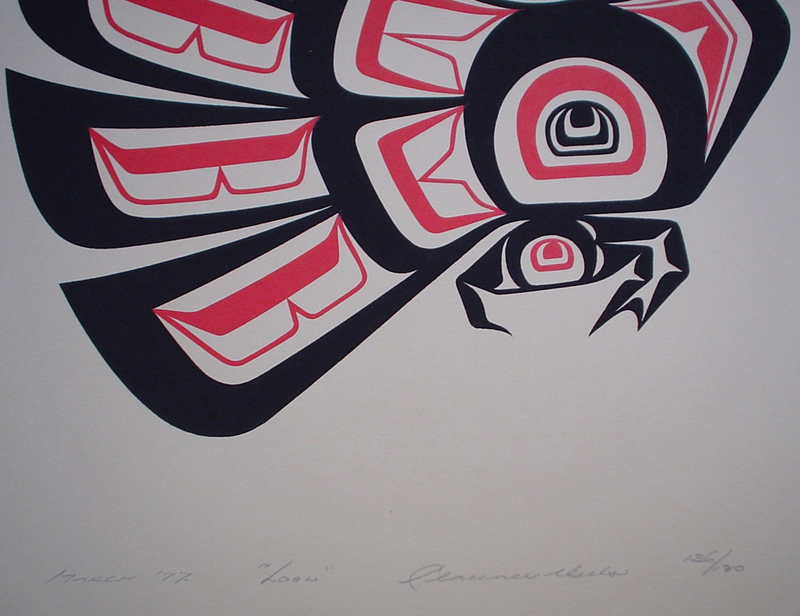 At the age of 15, he won a National Art Design Award signed by Arthur Laing and moved to Vancouver in 1965, where he attended the Langara Campus of Vancouver Community College for four years, with emphasis on art. Clarence A. 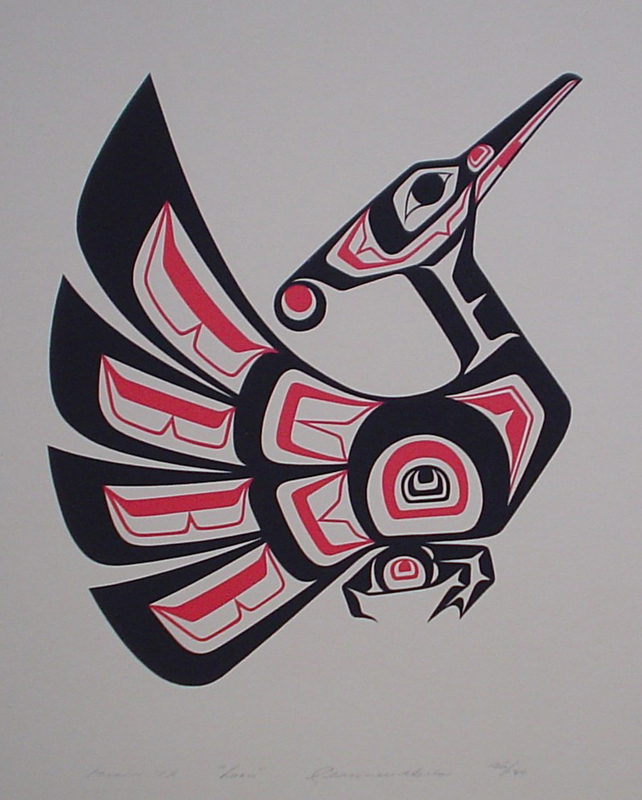 Wells has since become an internationally reknowned artist whose Haida style paintings are often painted onto hand-crafted shaman drums, as well as hand-carved boxes and other household items.